It’s almost January 1st, 2010 and we’ve been mulling over our favorites of 2009 – and the previous decade. Here we present another installment of our “Of the Decade” lists. 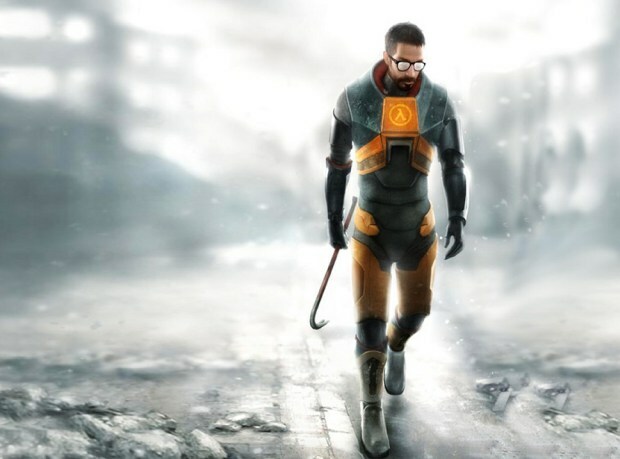 Valve’s follow-up to the revolutionary Half-Life is our game of the decade not just because it’s a fantastic game, but because it is a fine example of modern gaming. It exemplifies DLC done right, community support done right, and comes part and parcel with Steam, which has helped revolutionize digital distribution for games. All this while still being the standard by which other FPSes are measured. Half-Life 2 is merely one game in Valve’s expanding oeuvre, but it is still the poster child for doing it right. Now let’s get episode three coming already, guys! Come on! 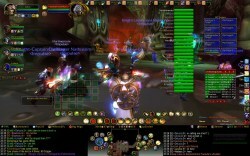 Having never played it myself, I can only report what everybody already knows about WoW: it’s like crack. Everything about it made for an optimized and addictive online experience leagues beyond what was available when it launched. The enormous world, regular updates, incredibly well-thought-out dungeons and classes — all part of a package so compelling that players now number somewhere around, what, 11 million? Beyond that, it’s led to a halo industry of gold farmers and loot auctions that is unprecedented in its size. WoW shows little sign of slowdown and will probably not be replaced until Blizzard decides it’s a good idea. While the early Call of Duty games competed directly with Medal of Honor in the heavily-scripted WWII shooter market, it has since gone on to be such a juggernaut in so many ways that it would be a travesty not to include it here. Not only is Modern Warfare 2 just selling like hotcakes, but the Modern Warfare games have expanded and refined what is possible, and what is acceptable, in modern gaming. 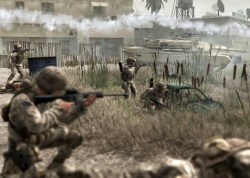 The first Modern Warfare was a strong entry in the “games as art” category, and the multiplayer aspects (while controversially crippled in MW2) are a breath of fresh air when set next to the aging Halo and Counter-Strike. Raise your hand if you have never played The Sims. Oh, nobody. That’s really all that needs to be said here. But I’m paid by the letter so I’ll go on. The Sims was one of the first PC games your mom could play and like, and with more than 16 million copies shipped to date, your mom was obviously a market waiting to be tapped. Nintendo realized that as well, and has exploited it most profitably with the DS and Wii. But EA and Will Wright were the first to the table, and let’s be honest, they overdid it with the Sims 2 and all its expansions. But if you can sell a million copies of an expansion pack that took a week to make, well, I don’t blame you for doing so. Devin: I have to add Serious Sam and Wolfenstein: Enemy Territory to this list. I had more fun playing those two games with my college roommate than a hundred other games combined. And of course, let’s not forget Portal. Matt: I doubt I played any game more over the last 10 years than the Day of Defeat mod for Half Life. I probably spent 5 hours a night for a couple years in that game. It was truly the best WWII multiplayer game until Call of Duty 2 came around 2005 and even then that game was quickly trumped by the Day of Defeat: Source. Man, I loved that game. John: I’ve never been a huge PC gamer but I’ve loved the Civilization series over the decade and I’ve often fired up my emulator to play Civ IV. It just goes to show that a good PC gaming concept can shine for almost two decades. Nicholas: World of Warcraft. That is all. Doug: I have to agree with The Sims, if only for how seemingly dumb an idea it was at first to how monstrously addictive it ended up being for most people. A premise built upon mundane daily activities goes on to become the best-selling PC game of all time. Go figure.